Welcome to the Catwalk for Kidneys page for Aubrey Rose! 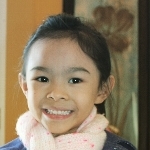 Aubrey is 5 years old and attends St. Mary's Catholic School in Waterford. She loves to read, go on adventure rides, and ice skate! She is walking on behalf of her mom, Nezie, who is a registered nurse at Albany Medical Center caring for kidney and dialysis patients for the past 12 years. You can support Aubrey by making a donation to this page or by purchasing tickets to see her at the show! Thanks for your support in helping us to make a difference!